Award your cookoff winners our popular Chili Cook-Off Trophies! 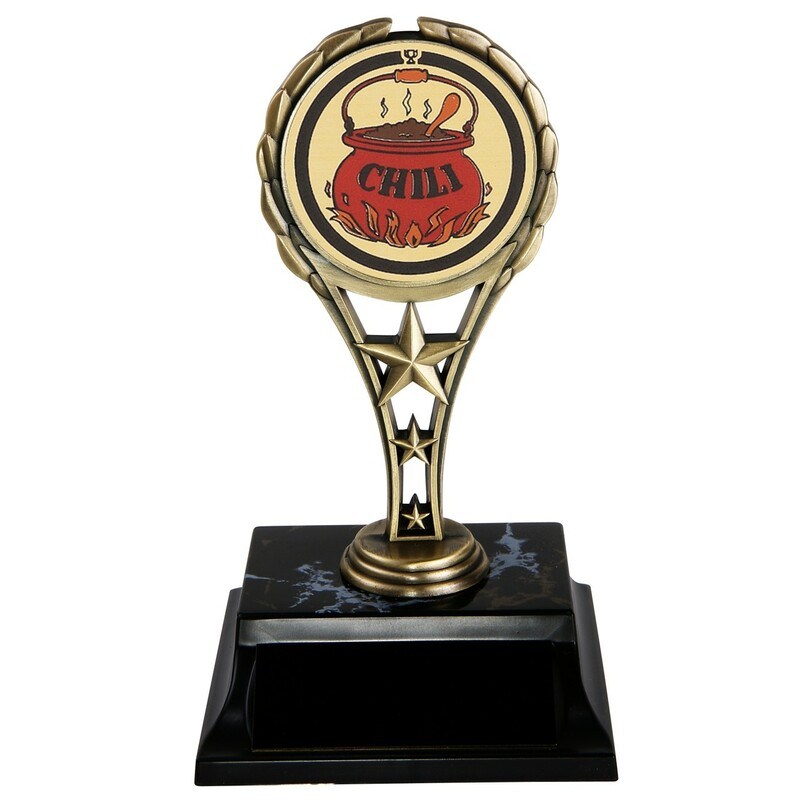 At 6" tall, these trophies feature a solid metal figure with a picture of a fiery chili pot in the middle. Price includes 3 lines of engraving. Caution, contents are hot, hot, hot!